50 ml - Net wt. 1.8 oz. An innovative alliance of GF oligopeptides, plant stem cells, and a plant derived sphingolipid complex that hydrates, nourishes, replenishes the skin’s moisture barrier and helps delay the visible signs of aging. Helps promote the revitalization of the skin while improving the appearance of fine lines and wrinkles. Daily morning and/or evening, on well cleansed skin, apply 2 to 4 pumps on face and neck. For optimal results, can be applied on top of the GF Advanced Derm Serum. How can you maintain the youthful appearance of your skin? 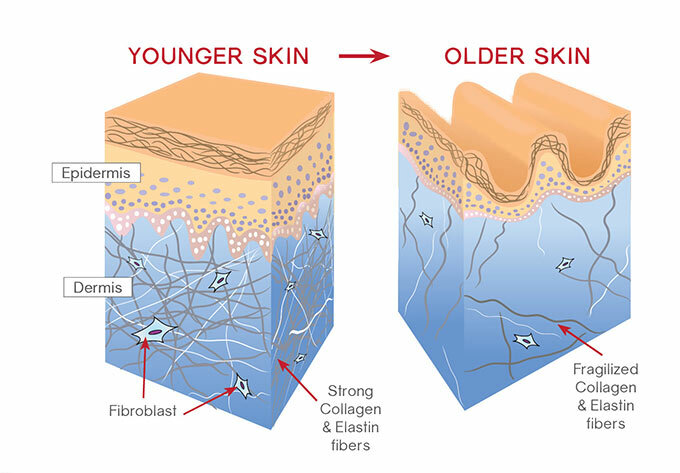 Skin aging is partially attributable to genetics (Intrinsic Aging); various external factors, (Extrinsic Aging) such as UV radiation, smoking, nutrition, and stress also play a large role. Interlocking between the epidermis and dermis (DEJ) decreases.